My family and friends labeled me “pleasantly plump” my whole life, so I thought weight loss was out of my reach. 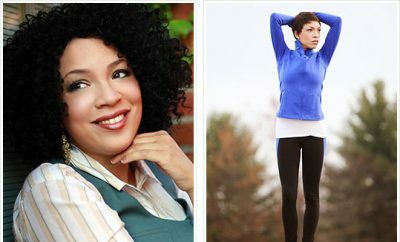 I ate whatever I wanted without paying any attention to fat, calories or nutrition, so as my weight inched toward 155 pounds on my 5-foot-6-inch frame, I convinced myself that I was just big-boned. It wasn’t until age 20, when I met the man who is now my husband, that I realized I was desperately unhealthy. My husband is very athletic and often planned our dates around mountain biking, skiing or hiking. Since I wasn’t as fit as he was, I couldn’t keep up because I was so easily winded. Wanting to make our dates more enjoyable, I started exercising at a gym to build up my cardiovascular strength. I used the treadmill, usually alternating between walking and running for half an hour. At first, it was tough, but I realized if I stayed with it, I would get better. I also learned the importance of strength training along with cardio work. Not only would lifting weights make me stronger and tone my muscles, but it also would boost my metabolism. 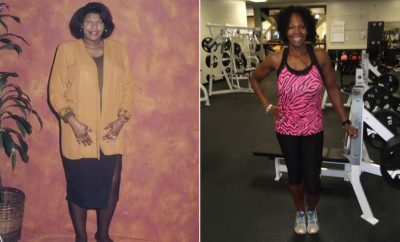 After I started exercising, I improved my nutrition habits and began eating fruits, vegetables and grains. I lost about 5 pounds a month and was amazed at my progress. On weekends, I found that I could actually keep up with my husband when we went hiking or biking. As I got closer to my goal weight of 130 pounds, I became terrified that I wouldn’t be able to maintain it. So I cut my calorie intake to 1,000 calories a day and increased my workout time to three hours a session, seven days a week. 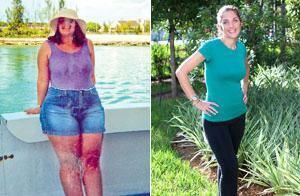 Not surprisingly, I lost weight, but when I eventually got down to 105 pounds, I realized I didn’t look healthy. I didn’t have any energy and felt miserable. Even my husband kindly remarked that I looked better with curves and more weight on my body. I did some research and learned that starving myself and overexercising were just as bad as overeating and not exercising. I had to find a healthy, reasonable balance. I cut down my exercise sessions to one hour five times a week and split the time between weight training and cardio exercise. I gradually began eating 1,800 calories a day of healthy food. After a year, I gained back 15 pounds and now, at 120 pounds, I love and appreciate every one of my curves. Today, I focus on what my body can do, rather than attaining a certain weight. Conquering my weight issues has empowered me: Next, I plan to complete a triathlon since biking, running and swimming are my passions. I’m looking forward to the thrill – I know it’s going to be an amazing accomplishment.